Chemistry & Pharmaceutical Chemistry Dep. 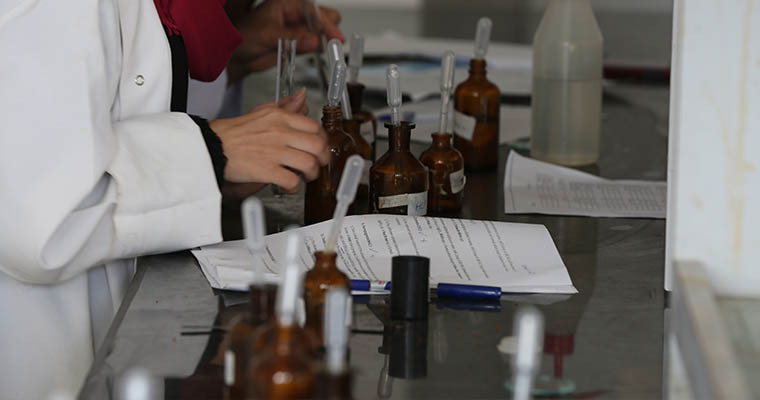 Pharmaceutical Chemistry is a core Department at the Faculty of Pharmacy. It is centrally concerned with the design, development and synthesis of pharmaceutical drugs. The Department combines expertise from chemistry and pharmacology to identify, develop and synthesize chemical agents that have a therapeutic use and to evaluate the properties of existing drugs. We nurture an outstanding and innovative research environment where students apply chemical principles to problems involving drugs and related molecules. In Pharmaceutical Chemistry, the emphasis is on promoting the therapeutic effects of the drug or minimizing toxicity, or controlling delivery of the drug to specific sites of action. This involves increased attention to the study of general chemistry, pharmaceutical analytical chemistry, pharmaceutical chemistry, medicinal chemistry, automated analysis.